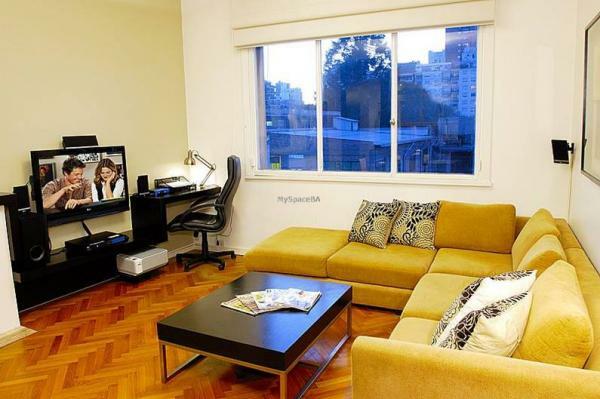 Beautiful 2 bedrooms apartment located in Recoleta district. It has an ample living room with comfortable sofas, a desk if you need to work, TV-LCD, aircon. Dinning area with table and chairs. An open plan fully equipped kitchen, it has a door if you need a private living room. Both bedrooms has a Queen size bed. Closet . Aircon. There are 2 bathrooms. This apartment is a very good option to stay in Recoleta close to everything.